When did the protestant, reformation begin? Many mark October 31, 1517, as being the day that the protestant reformation began. It is, because on this day Martin Luther nailed his 95 Theses against the sale of indulgences to the church door in Wittenberg.1 Why is this act by Martin Luther called reformational history, but the acts of Wycliffe and Huss pre-reformational history? 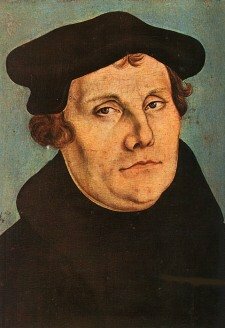 As I studied through some writings about Luther, as well as his own writings, I concluded; it was not Luther’s act that set the reformation rolling, many had already done that before him. Martin Luther’s act was significant, because it stood; it was the act of another man that allowed Martin Luther’s writings to stand. On May 4, 1521, while on the way home, after having taken his stand at the Imperial Diet at Worms; five soldiers under orders from Elector Prince Fredrick the Wise intercepted Martin Luther’s wagon and kidnapped him to Wartburg Castle. This was part of an elaborate scheme by Elector Fredrick to protect Luther from being put to death. No one knows if Elector Fredrick agreed with Luther’s writings, or if he ever talked with Luther, but this bold act not only saved Luther’s life; it kept the protestant reformation alive and growing.2 For the next few centuries the protestant reformation, and counter reformation by the catholic church would take center stage in Europe. Have ever wondered why there are so many Catholics in Central and South America? While the protestant reformation was happening in Europe, then later, North America; Catholicism was being spread through Central and South America by Imperial force. This happened by order of Ferdinand and Isabella of Spain, and they did so using the same principles as the Crusades. 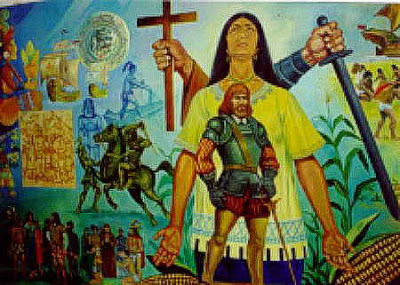 If the Indians cannot be converted by missionaries, then conquest must happen by whatever means necessary.3 Gonzales said, “The impact of the Iberian (Spain and Portugal) enterprise in the Western Hemisphere was so momentous—and so tragic—that it tends to eclipse the parallel impact of the Western Hemisphere on Europe and the events taking place.”4 Despite all the ruthless devastation, many people would come to hear the name of Jesus Christ. Therefore, we must trust in the sovereignty of God always; even through the acts of evil men. 1 John D. Woodbridge and Frank A. James III, Church History: From Pre-Reformation to the Present Day. Vol. 2 (Grand Rapids: Zondervan, 2013), 112. 3 Justo L. Gonzales, The Story of Christianity, Volume I: The Early Church to the Reformation, 2nd ed., (New York: HarperCollins Publishers, 2010), 449-485.